You’ve been hearing about it in the news, in emails, and maybe even in everyday conversation: the second year of the Affordable Care Act is here. That means Open Enrollment for health insurance is in full swing. You’re ready to enroll in a plan – to get coverage in case you get sick, have an accident, or just need to make your annual trip to the doctor…but where do you start? First, we need to verify that you’re a REALTOR® and NAR member. Some of the products available in this marketplace are designed and negotiated specifically for you via the REALTOR Benefits® Program, so have your NRDS ID ready to take advantage of your discounts and member value! This may seem like a no-brainer, but it applies mostly to families with adult children who don’t live at home. With healthcare reform, children may stay on their parents’ health plan until age 26, even if they don’t reside with one or both parents. Just be sure to have the addresses of everyone who will be on the plan, and you’ll be ready to enroll. Every person who legally resides in the U.S. is mandated to have health insurance, and everyone who legally resides in the U.S. also has a social security number. It serves many purposes, like being your unique identifier to show that you do have coverage and don’t have to pay the tax penalty. Yes, at the time you enroll, you will likely have to provide payment. However, depending on which carrier and which exchange you use, you may be asked to call the carrier at a later date to post a payment. You may also be sent a paper bill. Each situation can be different, but having payment options ready may help you be as prepared as possible. If you plan find out if you qualify for a subsidy or even want to apply for a subsidy, you will need documents to prove that you qualify. These documents include tax filings, income statements, and your best estimate of what you expect to make in 2015. Based on these things, you may receive a subsidy to help with the cost of health insurance. Now that you know what you need, are you ready to enroll? 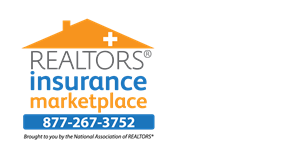 With REALTORS® Insurance Marketplace, NAR Members have access the private exchange (Members Health Insurance Exchange), public (government) exchange, AND products designed and offered exclusively to REALTORS®. Click here to enroll in a plan today. Not so tech savvy? Prefer talking to a REAL person? We offer complimentary consultative services for REALTORS® too! Call our Enrollment Specialists who work with REALTORS® like you everyday: 877-267-3572.